Winter is nearly over and you are probably getting ready for spring. While you have a whole 9 months before you have to think of the snow and cold once more, you can make like a Boy or Girl Scout and be prepared. 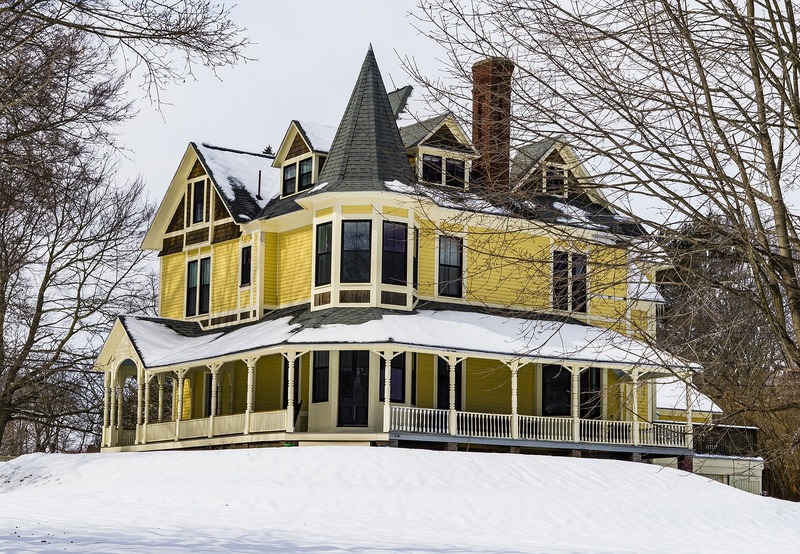 There’s a lot that you can do to keep the cold air outside and the warm air inside, which actually is the basic principle behind winterizing houses. Here are 4 steps to get you started. Windows are responsible for about thirty percent of the heat lost from your home. There are various DIY ways to insulate them against this loss and you can opt to do it temporarily or permanently. Bubble wrap, for example, is one of the most common temporary solutions that people go for. It is an effective insulator (by trapping cold air pockets), cheap, very easy to do and will still allow the sun’s light to stream into your home. It also lasts long, meaning that it can be reused again thus saving you recurrent costs. Here’s how the bubble wrap works. Hot air rises. The hot air that you are trying to keep in your house will go upwards, therefore, you should also insulate your attic and ceilings to avoid this. Place an insulation cover over your attic opening. Other things to insulate are pipes and, most importantly, walls. Research has it that around fifty percent of the heat in houses is lost through the walls. Floors are deemed responsible for about ten percent of your house’s heat loss so floor carpets and rugs will be a worthwhile investment. Gaps and cracks in your house allow air to escape. If you experience drafts in your house then you most likely have cracks. There are various full-proof ways of testing a house for drafts. Gaps could be in floorboards, walls, windows, doors, and ceilings. Sealing them will help to winter-proof your house. Caulking is one effective way of doing this. Weather stripping is another and can be used to seal around doors and windows. Simple draft excluders such as rolled up blankets or towels can also be used under doors. Insulation, caulking and the like will help in making your heating system more effective and lower your energy bills. To maximize on this efficiency, it is important to regularly service your heating system so that each and every component is continuously working well. Consult heating service professionals to check and repair your entire heating system before the winter season begins. Storm doors are those extra doors that you add for more insulation. They can be made of wood, plastic or aluminum. The same definition befits storm windows. They can be plastic sheets, plastic panels or made of high quality, low emissivity glass. Storm doors and windows prevent air movement through the doors and windows thus helping to winterize your house. They can be installed in the interior or the exterior of the house, and can be either temporary or permanent. The choice is yours. It has been found that fifty percent of the energy in houses is used for heating and cooling. It is never too early to start making the changes needed to make sure your house is comfortable during the cold season. Here is to less blankets and jumpers while indoors this winter.